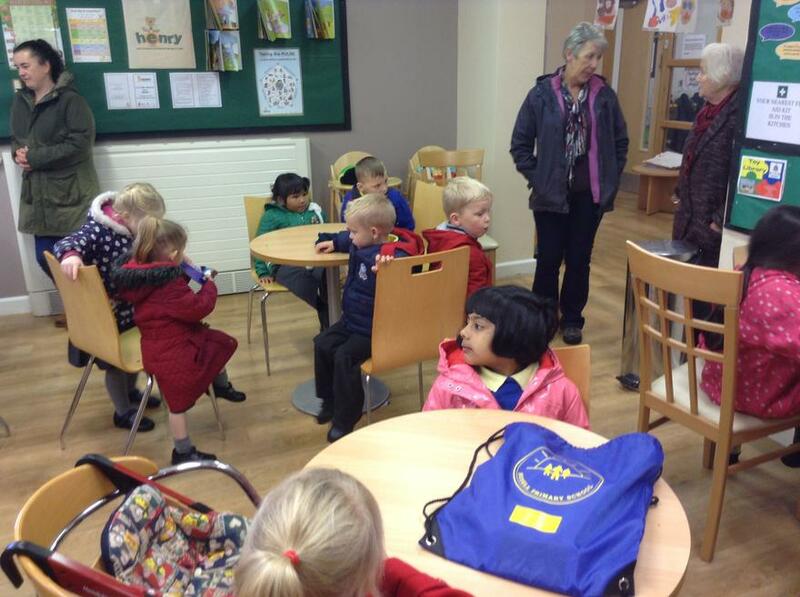 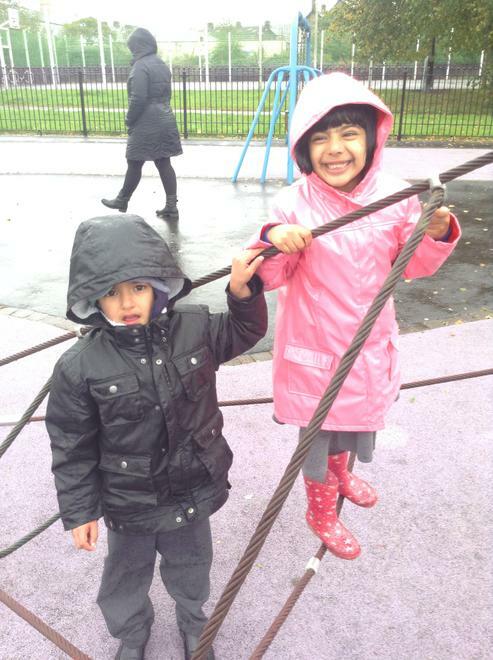 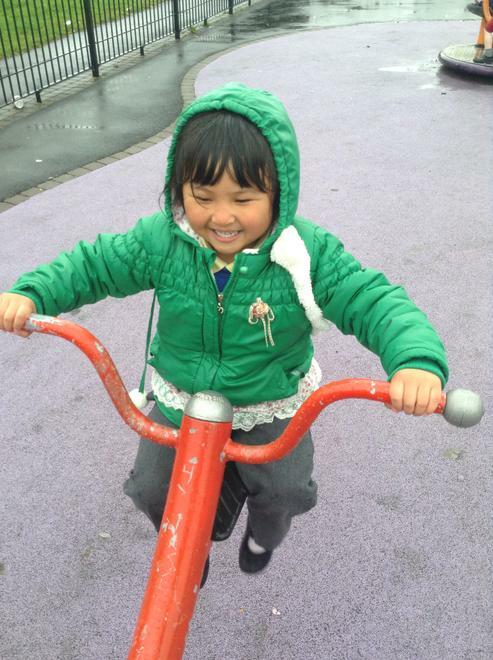 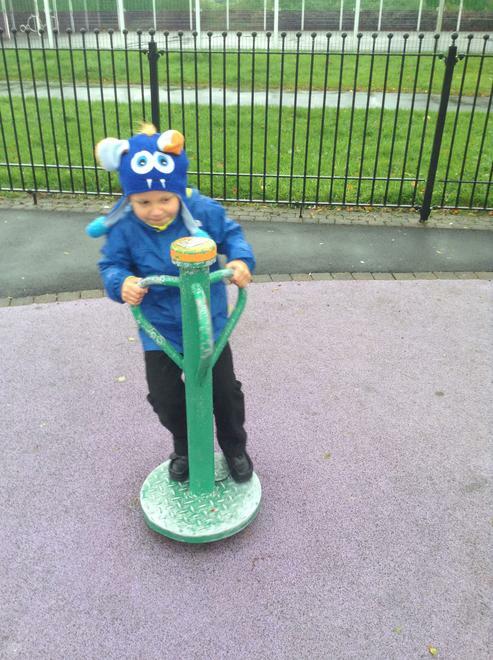 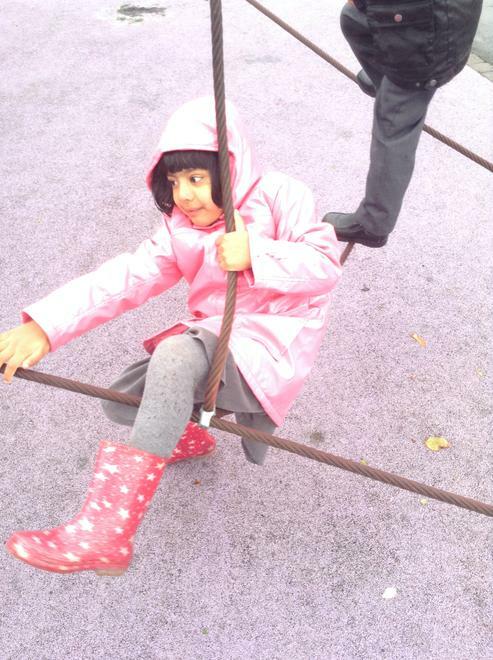 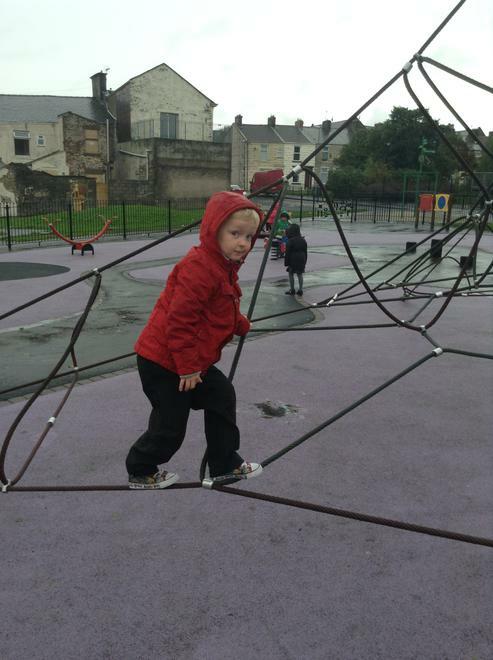 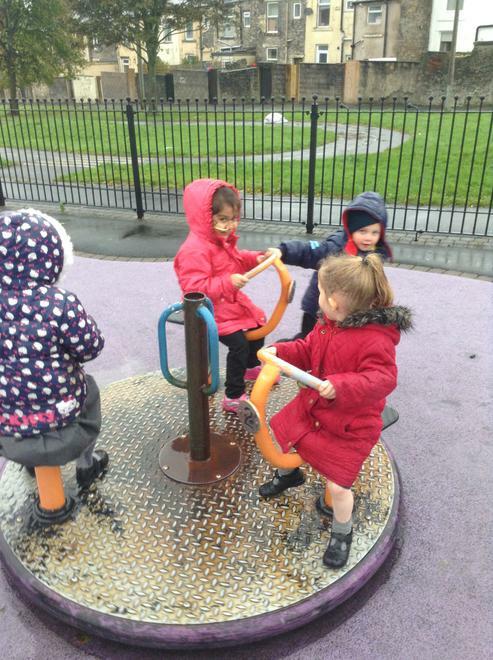 The Reception class went on a walk to the Purple Playground. 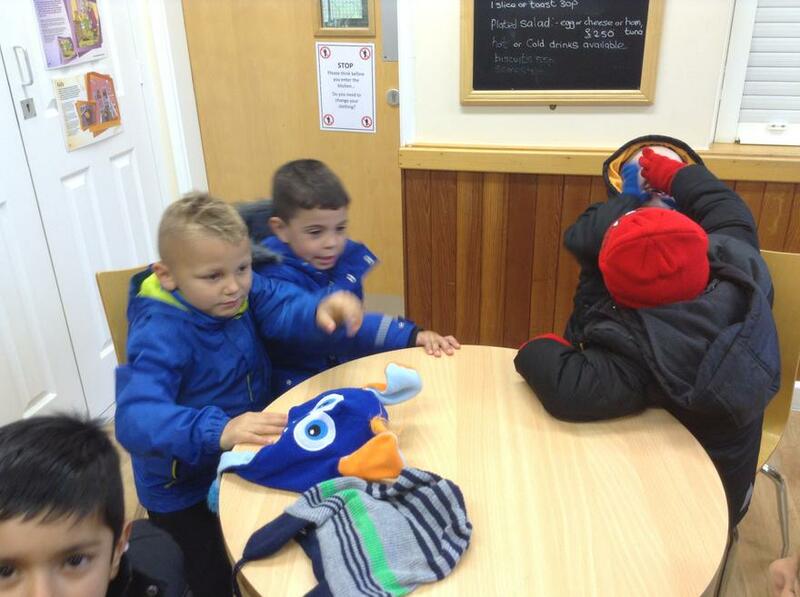 As they set off it started to rain but they carried on regardless. 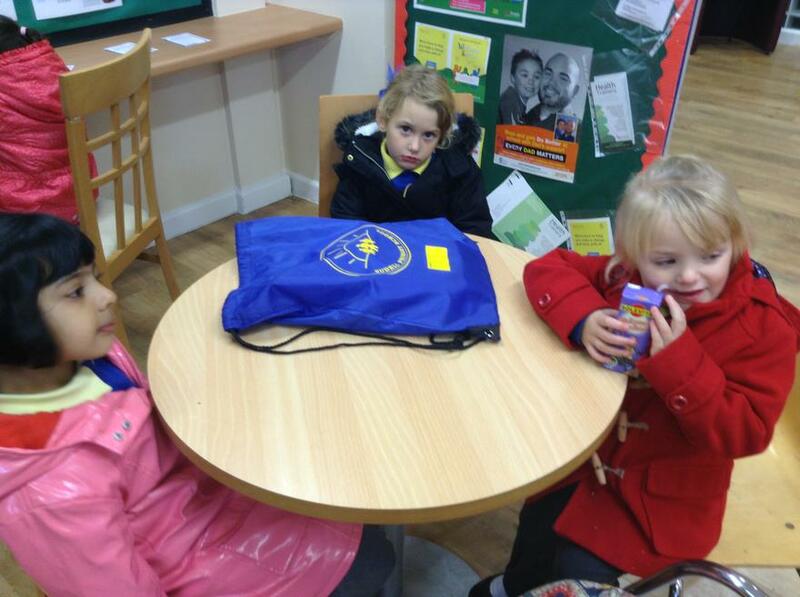 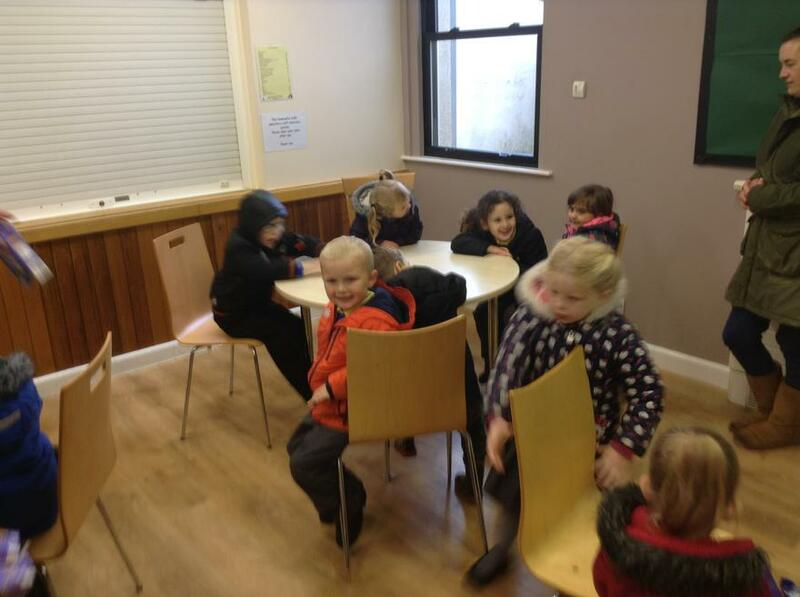 As they got to the playground it was still raining and the swings, slide and roundabout were very wet so they decided to go into Lord St Children's Centre and enjoy a drink of juice and a biscuit hoping that when they had finished the rain would have stopped. 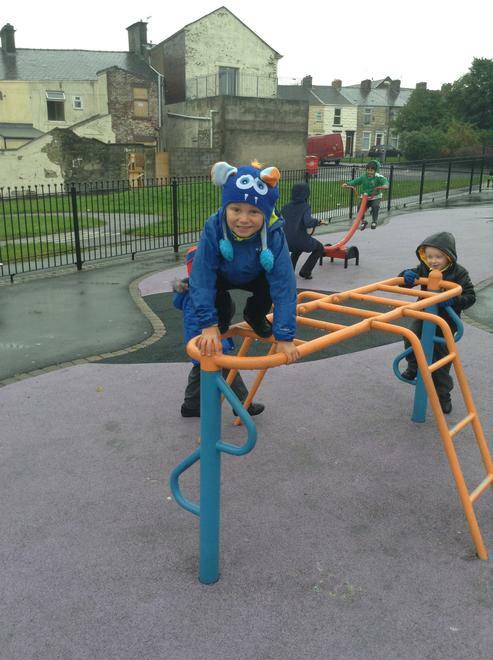 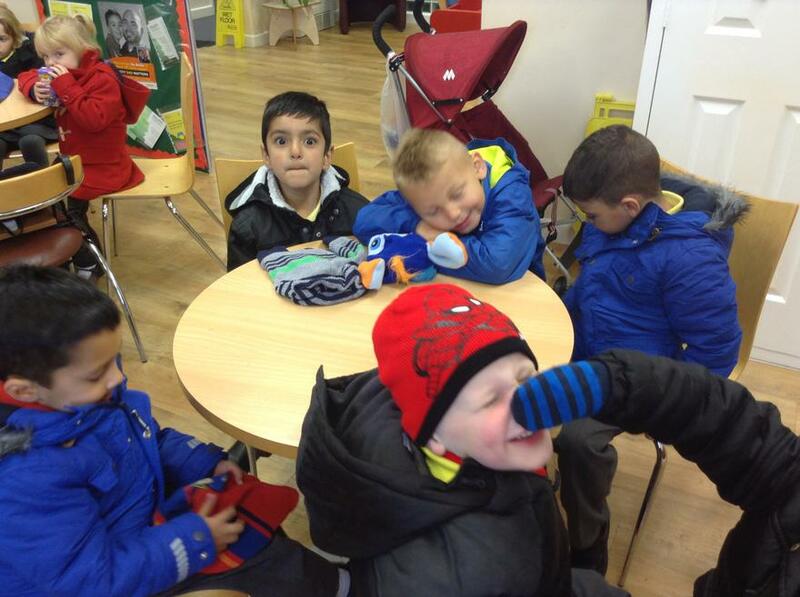 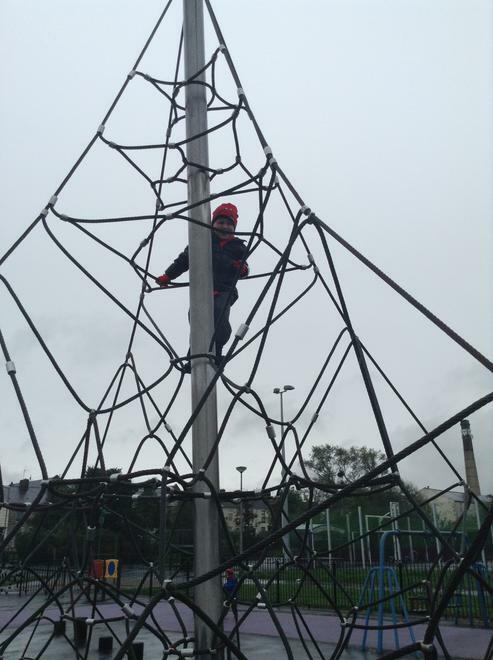 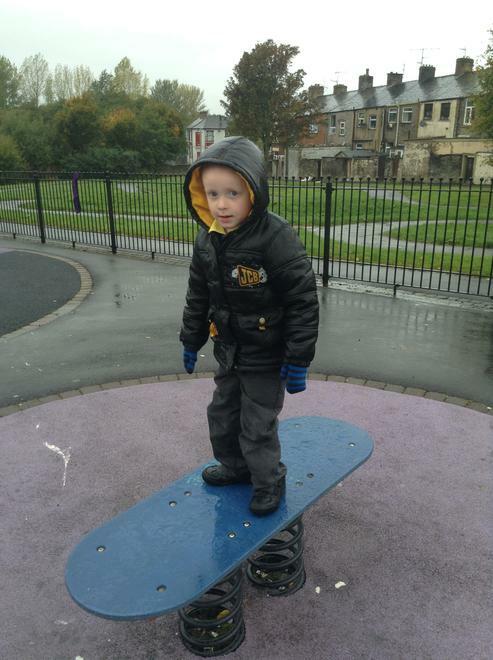 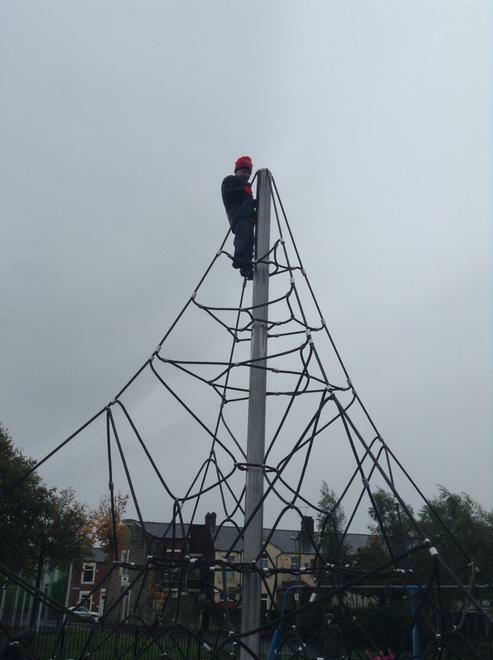 The children tidied the rubbish away and fastened their coats and as they opened the doors to exit the Children's Centre they noticed the rain had stopped and they were able to have a play on the playground. 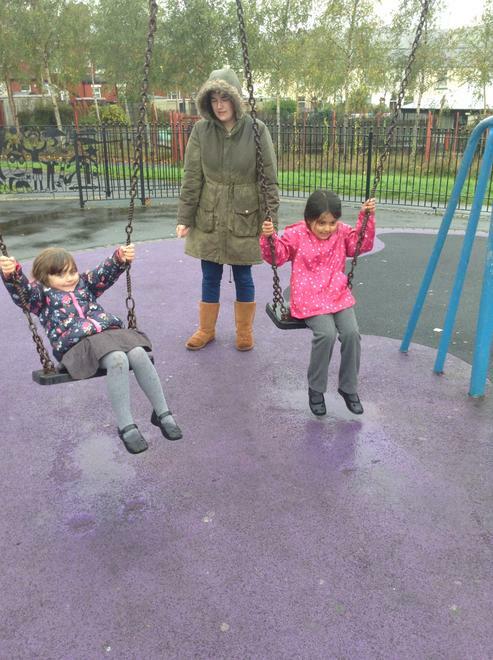 Although the children and staff did get wet they had a good time.